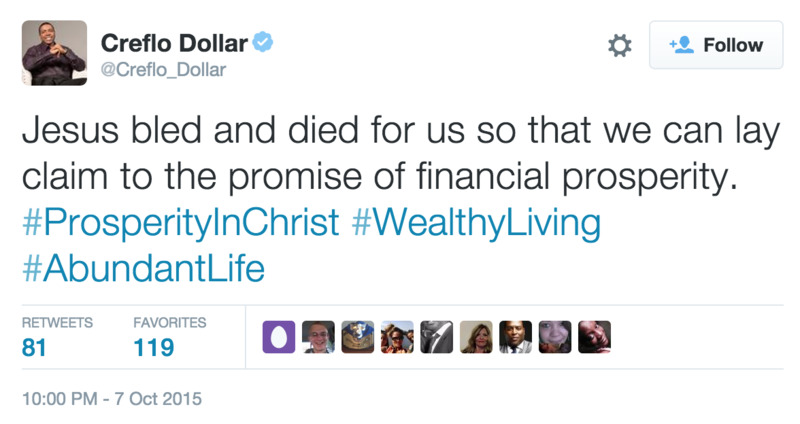 Prosperity Gospel? We Should Know Better! Give your money to God, and He will return it many times; have you ever heard that message or some variation of it preached? Do you believe it? In many churches, that belief is close to being the eleventh commandment. It’s often implied as give God a dollar, and he will give you back ten. That’s the prosperity gospel, and it’s preached in many TV ministries as well as more than a few local churches. Feel free to disagree, but I think that this teaching if flawed on a number of fronts. Malachi 3:10 is often cited as the source verse for the prosperity gospel. In it, God tells the Israelites to “test him” in the matter of tithes. The “reward” God provides for faithful tithing is widely interpreted by the believers in the prosperity gospel to be money, but is it? Let’s examine that assumption. Notice that there’s no promise of monetary reward. Instead, God promises to “throw open the floodgates of heaven and pour out so much blessing”. 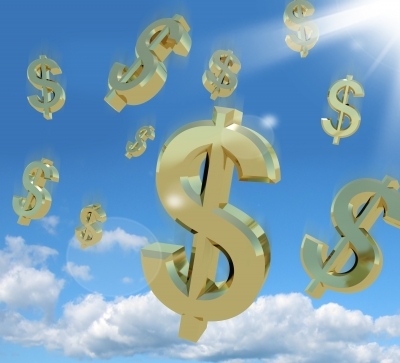 While a blessing can be financial, it’s actually a much broader word. Blessing can be any one of dozens of benefits, most of which having nothing to do with money. It’s unquestionable that God can and does multiply our generosity, but not usually in ways that we think. He can, for example, use a $100 gift from one person to bring the Gospel of Jesus Christ to ten other people. Even though the giver never sees any financial gain as a result of his or her gift, that gift has nonetheless been multiplied. In the Parable of the Sheep and Goats (Matthew 25:34-40), when Jesus commends the righteous, they aren’t even fully aware of the good work they have done: ”Lord, when did we see you hungry and feed you, or thirsty and give you something to drink? The good work they did was done with no expectation of reward! Personally, I believe that God does bless our giving, but not usually in the ways we think. It’s usually not monetary, and there’s certainly no mathematical return to it. Not ten-to-one, or any other type of ratio. Before we go any further, I want to make clear the obvious fact that we do have a Biblical requirement to support the Church. But that support must be done with an open heart and no expectation of any sort of earthly benefit as a result of doing so. If there were an earthly benefit, we would be doing it for the reward, and not out of love for God for what he’s already done for us. Where Does The Prosperity Gospel Come From? Our own hearts. We can easily support the idea of something like a ten-to-one monetary return in our human desire for riches. Attaching some sort of heavenly stamp of approval/partnership with God message to it gives it a higher purpose. From the pulpit. Too many Christians get their “Scripture” from other people, rather than from the Bible. We hold pastors and preachers in high esteem and assume that they’ve done the job of studying the Word of God for us. Chances are, if your pastor or favorite TV preacher believes in the prosperity gospel, then you will too. The only way to know the truth of God’s Word is by studying it ourselves, and praying and meditating over it. Any time we accept the interpretations of others, we’re leaving ourselves open to false doctrines. The prosperity gospel seeks to enter into something like a business deal with God, and we can see from these verses—and so many others—that that isn’t a true relationship with God. We have no evidence from the Bible that Jesus ever collected money from anyone. In fact, in the exact opposite direction, Jesus drove the money changers out of the temple accusing them of making it a “den of robbers” (Matthew 21:12). Based on these facts, can we believe that Jesus Christ—the figure at the very heart and soul of the Christian faith—would somehow advocate anything resembling the prosperity gospel? For me, this is the point that makes the strongest case against the prosperity gospel. If we give based on the assumption that we’ll be financially blessed, then we aren’t giving out of a pure heart. We’re giving based on the expectation of a return on our gifts. That really turns gifts into investments, and that can’t be true. If we’re giving with the expectation of a financial reward, then the giving isn’t about God or the people we’re giving to. It’s really about our attempt to improve our lot in life through an implied financial alliance with God—and that’s really all about us. From a Biblical perspective, if anything we do is about us, it isn’t about God, and we shouldn’t expect to be blessed for doing it. 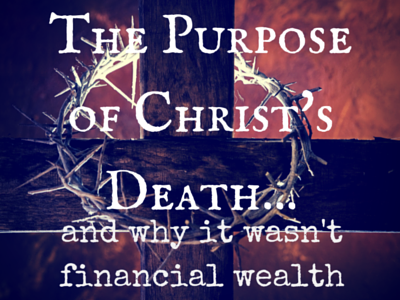 What to you think about the prosperity gospel? I know some people swear by it, but from where I sit, it doesn’t fit with Scripture. Feel free to disagree!